See how Iron Maiden's Bruce Dickinson brought rock to a city under siege -- with a little help from the Serious Road Trip. 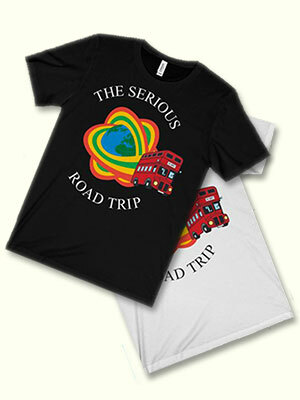 Help support Serious Road Trip projects by buying a Road Trip T-shirt. 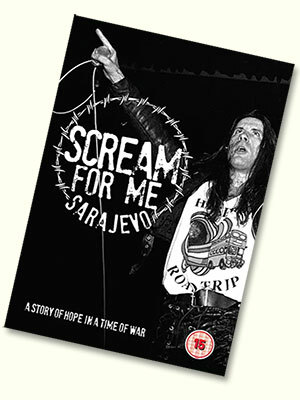 From 1991 to 1997, the Serious Road Trip - once described as "the world's most rock'n'roll aid organization" - brought humanitarian aid and its own unique brand of therapeutic entertainment to people in Eastern Europe, from the war-torn former Yugoslavia to Romania, Chechnya and beyond. Today, groups started by Road Trip members carry on the work and the goals of the Road Trip - to help people in difficulty of any kind, here, there and everywhere, particularly through the use of circus and street art. This site is a memorial to the original Road Trip and a clearing house for information about the new TSRT groups. TSRT-CHN will be holding their general assembly under the TSRT big top near the Espace René Cassin in Pellerin. TSRT-CHB's annual spring festival will take place at Avanne on 16th June. TSRT-CHN's Les Pelleri'Nez event celebrates its 10th year. A course of circus workshops in Nantes including highwire, trapeze, unicycle, stilt-walking, acrobatics and more. 10:00-13:00 each day. Contact TSRT-CHN for details. Watch and try out circus techniques with TSRT-CHN, then see a screening of films from Pelleri'Nez at the Espace René Cassin in Nantes. Contact TSRT-CHN for details.